Personal Seat Licenses (PSL) have traditionally been offered by National Football League (NFL) franchises as a way to gain revenue to help with construction or renovation costs of new stadiums. PSLs have not found as much financial success in other professional sports leagues like it has in the NFL. 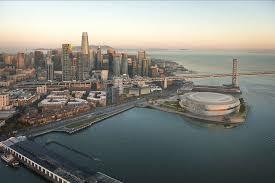 However, the Golden State Warriors (Warriors) have decided to offer PSLs for its new arena, the Chase Center, in San Francisco. The Warriors are probably the only team that could have ultimate success with such an offering in the National Basketball Association (NBA) and San Francisco is probably the only city that the Warriors could successfully make this offering. This article will give a brief history of PSLs as a financing tool for professional sports teams and the success teams have had with PSLs in the NFL and explore how and why the Warriors will offer PSLs to its fans. 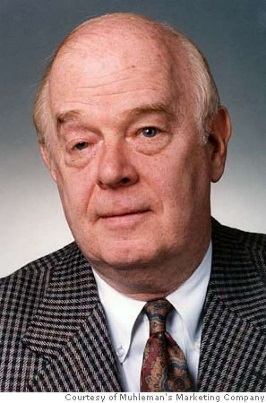 Max Muhleman, who is credited with creating the concept of PSLs, originally created the PSL as a gift wherein “you were given the right to own an individual seat location.” Muhleman started his career as a sports journalist, primarily covering motorsports, and then in 1972 he started a sports marketing firm, Muhleman Marketing Inc. Muhleman created a national and successful practice as a team consultant and helped bring both an NFL and NBA franchises to Charlotte, North Carolina. 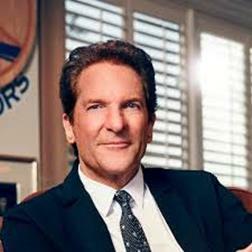 In 1987 Muhleman was hired by George Shinn (Shinn), an entrepreneur in the Charlotte area, to spearhead a campaign to get a NBA expansion team to Charlotte, North Carolina. As part of this campaign, Muhleman organized a season ticket drive — future fans would put down a non-refundable deposit of about 10% of what the cost of the season tickets would be to get on a season ticket waiting list. Once the NBA issued its expansion recommendation, Muhleman had already gotten 10,000 prospective fans to make a non-refundable deposit which helped Charlotte get its team. Once Charlotte got its team, the Hornets and Shinn, as the owner, wanted to give back to the fans who made that all important non-refundable deposit for season tickets. Muhleman suggested giving those fans ownership of their seat as a gift to make them feel more a part of the team, and he called these gifts Charter Seat Rights. The fans were also allowed to assign their rights to anyone if they chose not to renew their season tickets. Muhleman never considered that Charter Seat Rights could be used as a financing tool, or that fans could sell them for a profit, until he saw an ad in a local newspaper by a fan selling their Charter Seat Right. Four years later Charlotte was trying to gain another professional sports team, this time a NFL expansion team. 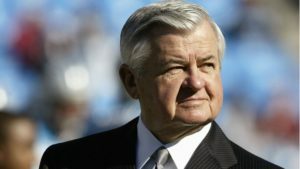 Jerry Richardson (Richardson), a former NFL player, was now working with Muhleman to get an NFL franchise to Charlotte. Richardson was looking to be the founder and owner of the first NFL team in Charlotte. When Richardson contacted Muhleman about getting his help to bring the NFL to Charlotte he did not have a stadium for the potential expansion team to play home games in, and he did not have any public funding committed to such a project. On top of this, the NFL announced a much higher expansion fee than Richardson and Muhleman were expecting which forced them to use a $160 million loan they secured for the expansion fee instead of for stadium construction. They then needed to find another financing avenue they could utilize to cover the construction costs of a stadium. Muhleman thought they could utilize the Charter Seat Rights previously utilized with the Hornets, but this time as a financing tool. This time the Charter Seat Rights would be offered up front and would reserve the fans a right to purchase season tickets in the future. Richardson and Muhleman had a goal of raising $100 million of the estimated $160 million stadium construction costs. Once Richardson and Muhleman finalized the details of the offer, lawyers recommended that they change the name of the offering to Permanent Seat Licenses, and accompany the purchase with a legal document outlining every clause and condition associated with owning a Permanent Seat License. Richardson and Muhleman offered the Permanent Seat Licenses at a range from about $600 to $5,400 per seat. Through offering Permanent Seat Licenses they were able to raise $92 million, which helped Charlotte win its bid for the new NFL expansion team. Muhleman now owns another firm, Private Sports Consulting, but he is still best remembered as the man who created the first PSL and helped bring two professional sports teams to Charlotte. Since the success of using Permanent Seat Licenses for the financing of the Charlotte Panthers’ stadium, this practice has permeated the NFL. With almost every team in the NFL leasing a publicly financed stadium for a fixed term, lawyers recommended the name be changed from Permanent Seat License to Personal Seat License (PSL). This change eliminates the use of “permanent” since the team could essentially build a new stadium or move if their lease expired. A PSL is now a one-time fee a fan pays for the right to purchase season-tickets. The one-time payment then reserves that fan’s seat and gives that same fan the opportunity to buy season tickets for several years. In the NFL, for example, a fan will purchase a PSL and then maintain ownership over that seat. Fans can then either purchase season tickets for that seat or sell their PSL to a third party on the secondary market. The fan can either make a profit if their PSL gains value over time, or suffer a loss if the value decreases. Either way the NFL franchise is guaranteed to receive the monies the original fan paid for the PSL, even if the value decreases over time. 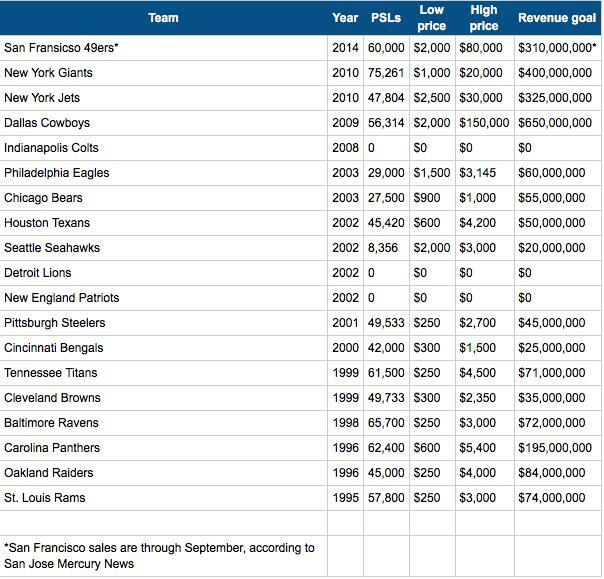 Almost every NFL team now utilizes PSLs as a financing tool. PSL sales for the two most recent NFL stadiums, the Minnesota Vikings (Vikings) and the Atlanta Falcons (Falcons) stadiums, were also very successful. The revenue generated from each team’s PSL offering helped each team generate around 20% of their private contribution for stadium construction costs. The Vikings generated approximately $115 million in revenue, as of February 2016, from its PSL offering. The revenue the Vikings generated through PSL sales was about 20% of the $578 million the team pledged for construction costs. 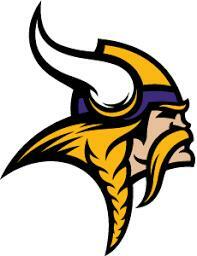 The private contribution constituted 52% of the overall financing for the Vikings new $1.1 billion stadium. As of July 2017, the Falcons generated approximately $256 million from its PSL offering. The Falcons agreed to privately finance $1.1 billion for the new $1.5 billion stadium. The $256 million revenue the team generated from PSL sales constituted about 23% of that private contribution. The Falcons total private contribution constituted about 73% of the total financing for the new Mercedes-Benz stadium. The success these two NFL teams had from the offering of PSLs for their new stadiums are just a small example of how successful this financing tool has become in the NFL. With how much success teams have realized in the past by using PSLs, the prices for the offerings have substantially increased as teams are building more costly stadiums. The Los Angeles Rams (Rams) PSL offering price is expected to range from $175,000 to $225,000 per seat to help with the construction costs of the team’s new $2.6 billion stadium, the most expensive NFL venue to date. However, the Rams are not structuring its PSL offering like traditional PSL offerings in the past. The Rams are creating a separate corporation, LA Fan Club (“FanClub”), to provide membership benefits for fans who choose to pay a nonrefundable membership fee. These memberships will include both PSL memberships as well as non-PSL memberships. PSL members will be required to pay a refundable deposit, in addition to the membership fee, in order to have the right to enter into an initial PSL agreement. The amount of the refundable deposit fans will be required to pay will vary depending on the location of their seat. Fans who choose to become PSL members will receive the same benefits of other members, as well as the priority right to purchase season tickets for a specific seat. The deposit that PSL members pay to enter into a PSL agreement will be repaid, without interest, after fifty years. The PSL agreement will begin in 2020, the expected opening year for the Rams new stadium, and will end when the Rams either stop playing home games in Los Angeles or fifty years after the beginning of the PSL agreement, whichever comes first. The aggregate of all nonrefundable deposits will be considered a loan to StadCo, the owner of the new stadium to fund construction of the new Inglewood stadium by Stanley Kroenke (Kroenke) — the Rams owner. FanClub is projecting the aggregate amount of nonrefundable deposits to be between $800 million and $1 billion. The loan that FanClub is making to StadCo is to be used solely for construction costs of the new stadium. While FanClub is loaning StadCo the nonrefundable deposits, Kroenke will set money aside in a Defeasance Fund to be used for the repayment of the loan to FanClub. All funds in the Defeasance Fund will be used to repay the loan to StadCo which will then be used for the repayment of FanClub’s loan, and eventually to refund the deposits made by PSL members. The revenue generated from the refundable deposits received by FanClub are not considered taxable gross income. Under the IRS federal tax code all gross income, which is anything that increases a taxpayer’s net worth, is taxable. For a taxpayer’s gain to be included in gross income, the taxpayer must have a claim of right to that gain. However, a taxpayer does not have a claim of right over a gain if that gain is received subject to a legally enforceable obligation to repay that gain. 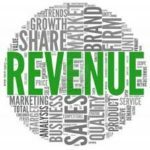 Since, the revenue FanClub generates through the refundable deposits is subject to a legally enforceable obligation to repay the deposit, they are not included in FanClub’s taxable gross income. The Ram’s creation of a separate corporation to provide for PSL agreements allows the Ram’s to avoid paying taxes on this revenue, since it will be classified as debt once FanClub loans the money to StadCo. This will ensure that the Rams get the maximum amount of value out of PSL agreements, and will help the team privately finance its new stadium. Structuring a PSL in this way may be the new method utilized by professional teams offering PSLs to fans in the future. It is plausible that the Golden State Warriors’ new PSL offering will most likely be set up in a similar manner so the team can also avoid having to pay taxes on the revenue generated from PSL sales for their new arena’s private financing. In the past PSLs have held their value and have dramatically increased in value. In 2012 Forbes reported that both the Baltimore Ravens and the Chicago Bears PSL value increased over 100% since they were first offered. The secondary market for the resale of PSLs for NFL stadiums has allowed fans to recoup the money they paid for the PSL and sometimes earn a profit from the sale. However, in recent years fans have not seen their PSL investment retaining its value, and have even seen the value decrease dramatically, much like the PSL value for the 49ers stadium. The decrease in value over time could lead to teams offering more safety nets for the large investment the teams are asking fans to make, like the Rams offering to refund the deposits after so many years. Even with the decrease in value over time, however, the success of PSLs for NFL teams has not decreased, and can be seen by the amount of revenue both the Falcons and Vikings generated by offering PSLs. 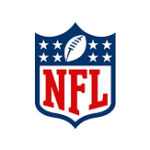 While PSLs have been successfully employed as a financing and revenue tool for NFL teams, they have not been used widely in other professional sports. In fact, the Warriors are the first NBA team to offer PSLs on such a grand scale, although Toronto has offered PSLs for the NBA Raptors and NHL Maple Leaves. Even though the Warriors are offering PSLs to cover the costs of construction for the new Chase Center, the team is offering PSLs in a different way than an NFL team’s offering. Before analyzing the specifics of the Warriors’ PSL offering, it will be helpful to first analyze why the Warriors are the right NBA team to be the first to make such an offering and why San Francisco is the right City for this type of offering structure. The Warriors have been a very successful NBA team over the last five years. Not only has their win/loss percentage and the success of the team increased, but so has the overall value of the franchise. 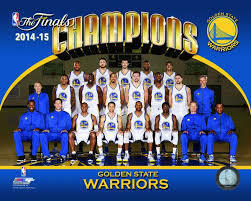 The Warriors have made a playoff appearance each year since the 2012–2013 season, reaching the Finals three of those five seasons, and winning the NBA Championship twice. The team’s win/loss record is further proof of how successful the Warriors have become and continue to be. The team’s win/loss percentage was 57.3% at the end of the 2012–2013 season and has since climbed to 81.7% after the 2016–2017 season. 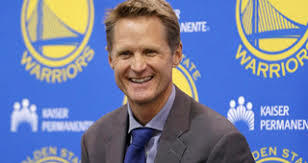 The team is coached by one of the most successful coaches in the NBA, Steve Kerr. 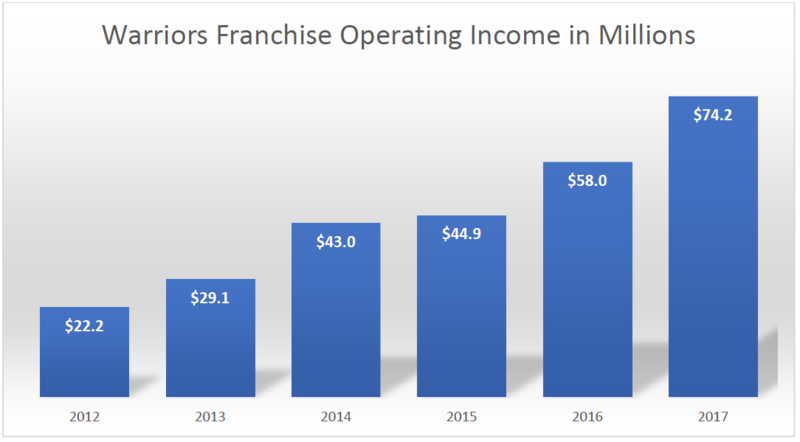 On top of an increasing win/loss record as well as success in the playoffs, the team’s franchise value, revenue, and operating income has all increased over the same time span as indicated in the charts below. 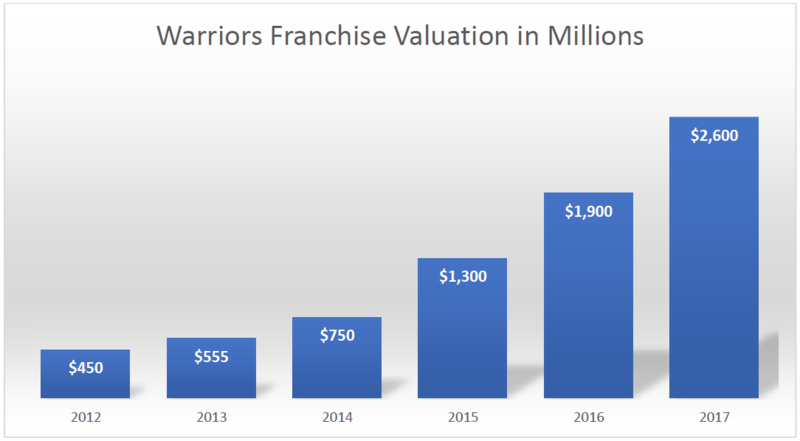 The Warriors’ franchise value has increased from just above $400 million in 2012 to $2.6 billion in 2017, as estimated by Forbes. The Warriors are the third highest valued franchise in the NBA according to Forbes Magazine’s 2017 estimates, and are owned primarily by Joe Lacob and Peter Gruber. 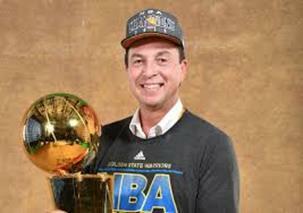 Ownership and management have taken basketball in the Bay Area seriously. For the 2017-2018 season, the Golden State Warriors had the highest total salary for NBA teams, followed closely by the Cleveland Cavaliers and Oklahoma City Thunder. The top four salaries on the Warriors’ team included Stephen Curry ($34,682,550), Kevin Durant ($25,000,000), Klay Thompson ($17,826,150), and Draymond Green ($16,400,000). 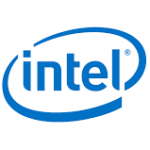 The team’s revenue has increased from just $140 million in 2012 to just above $300 million in 2017, as estimated by Forbes. Finally, the team’s operating income has increased from about $20 million in 2012 to about $75 million in 2017, as estimated by Forbes. 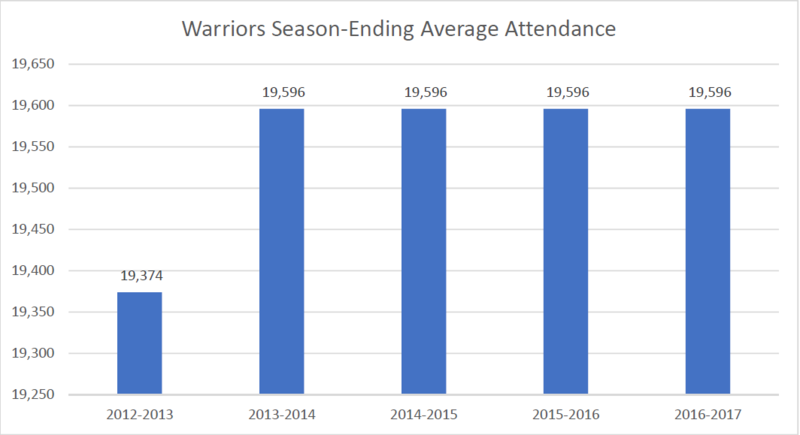 Not only have the Warriors’ statistics and finances increased over the last five years, but so has its fan attendance at home games. 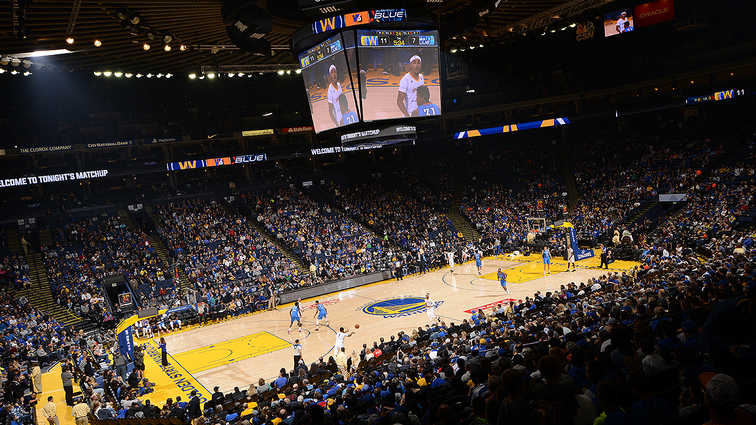 The Warriors have maintained an average attendance of just over 19,000 fans per home game since the 2012–2013 season. The team even ended the 2016–2017 regular season with 230 consecutive sell-outs. With the Warrior’s continued success, season tickets have become that much more valuable. For the past four seasons the team has offered 14,500 season tickets and have had a renewal rate of 90%. The team also has a Season Ticket Priority Wait List of over 39,000 fans as of April 2017. 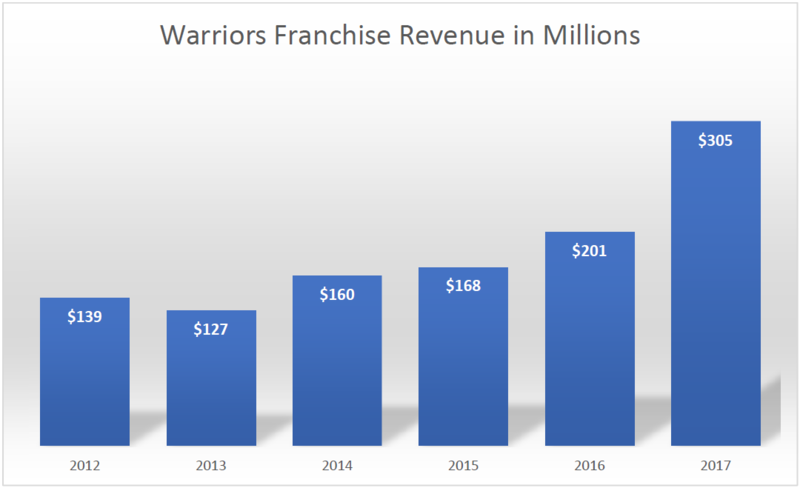 The demand for Warriors tickets is incredibly high and should continue to increase with the Warrior’s continued success. 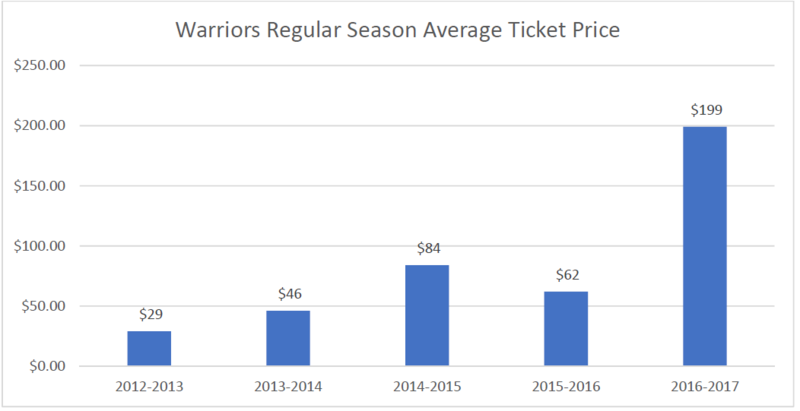 Tickets for a Warriors home game has increased over the last five years from just under $30 to just under $200 as the team has become one of the most dominant teams in the NBA today. These factors make the franchise attractive to perspective players and make the franchise a good place to build a career. 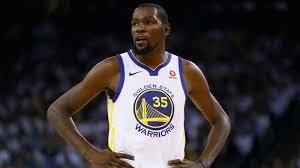 The most notable and recent star-studded player to join the Warriors was Kevin Durant, who joined the team right before the 2016–2017 season. Kevin Durant left the Oklahoma City Thunder to play with the Warriors and chase his first championship title. 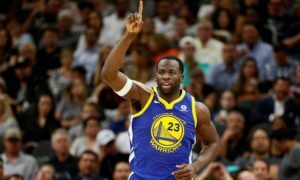 This success helps the franchise attract talented basketball players, as well as retain many of its current star roster, players such as Steph Curry, Draymond Green, and Klay Thompson. The increased success on the court has also led to the high demand for season tickets. Given the teams growing season ticket waiting list, the demand for PSLs should transfer to an equally high demand for PSLs at the new arena. Currently fans who wish to obtain season tickets for Chase Center have to purchase a PSL before being able to purchase those coveted season tickets. San Francisco is a unique City in and of itself without the Warriors, but the demographics create an excellent environment for a successful PSL offering. The City, as well as the surrounding Bay Area, is home to the headquarters of some of the largest publically traded corporations. 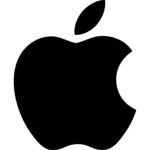 Some of those corporations include Apple, Chevron, Google, Wells Fargo, Hewlet-Packard, Safeway, Intel, Facebook, Cisco, and Yahoo, just to name a few. The number of large corporations and technology companies headquartered in and around San Francisco have changed the demographics of the City dramatically. 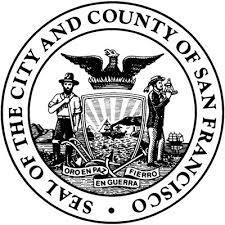 The City of San Francisco released a Citywide Benchmark in early 2017 that used 2014 United States Census data to compare San Francisco to sixteen other similar cities across the United States. The Citywide Benchmark illustrated the current makeup of the City and highlighted some changes the City has seen over the years. More and more people are steadily moving into the City and with the number of corporations in need of young professionals in San Francisco growing, those moving to the City are more likely to have a higher formal education, tend to be younger, white and Asian. This makes sense given the high growth technology companies in the area in need of so-called “white-collar knowledge workers.” In the Citywide Benchmark, San Francisco had one of the highest white populations and one of the highest Asian populations, as you can see from the chart from the Citywide Benchmark below. 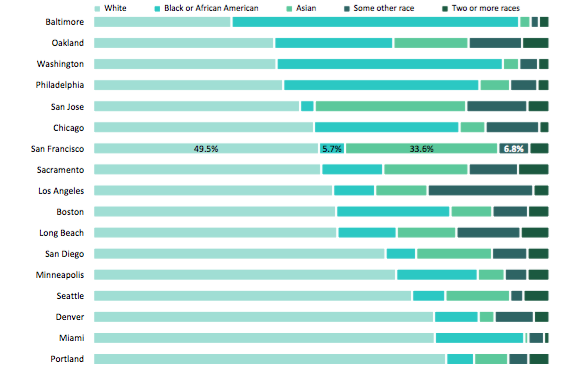 The Citywide Benchmark reported that since 1970 the black population has fallen from 13.4% to 5.7% in 2014, while the Asian population has risen from 13.3% to 33.6% in the same time frame. Along with the ethnic makeup of the City changing, the age of the City has also changed drastically. 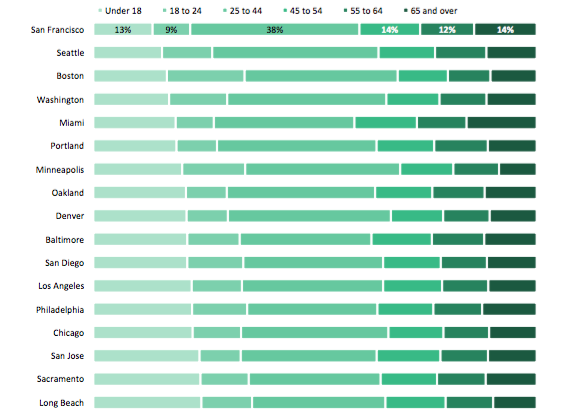 According to the same Citywide Benchmark, San Francisco had the least number of residents under the age of 18 and one of the largest amount of residents between the ages of 25 to 44. Along with the City getting younger and the ethnic makeup of the City changing, the average household income has increased, which could be in part due to the amount of high level jobs available in the area. 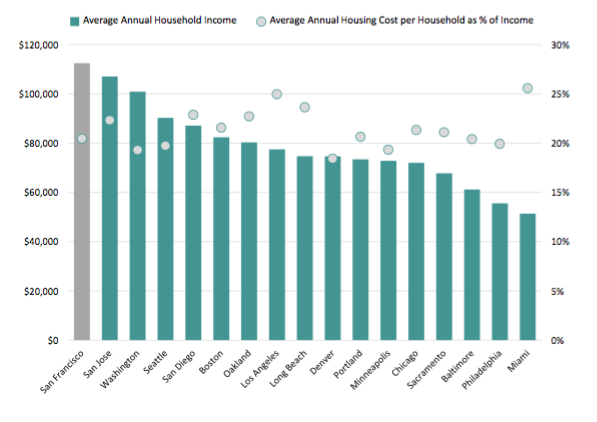 According to the Citywide Benchmark, using 2014 United States Census data, San Francisco had the highest annual household income of the sixteen cities and its residents spend a lesser percentage of their annual income on housing, as illustrated by the chart below. 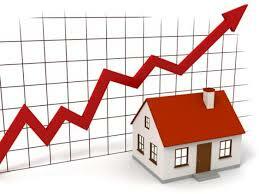 Along with higher annual income, housing prices have also increased in the City. For example, as of 2017, the average rent for a one bedroom apartment was about $3,360 a month. As the City’s cost of living increases, wealthier people are replacing those who can no longer afford the increasing costs of living in the City. The result of the increasing housing prices and the change in demographics has resulted in a City that is younger, more highly educated, and richer. San Francisco is becoming a wealthier city and the number of headquarters for major corporations in the City continues to increase, making San Francisco the perfect place for the first NBA team to offer PSLs on such a large scale. The Warriors PSL offering will appeal to the young professional crowd as well as the many corporations and their executives surrounding the new arena. The increasing success of the Warriors coupled with the ability of San Francisco residents to afford a PSL, reinforces the fact that the Warriors are the right team to make this offering and that San Francisco is the right place to do it. Others within the industry also agree that the Warriors are the only team that will be able to offer PSLs in the NBA and have success doing so. look at the demand in the immense corporate base, and the amount of high-net-worth individuals. The market is such an anomaly, these guys were doing a $6 million, $7 million gate for playoff games and [PSLs] will do so much for them in terms of long-term or permanent financing for that facility. The idea that PSL offerings will become more popular in the NBA, much like the NFL, has been quickly rejected industry wide. The Warriors’ position in the marketplace is so unique coupled with the demographics of San Francisco, makes it unlikely that PSLs will be offered on a grand scale in the NBA. 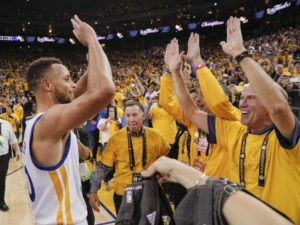 Unless another team can replicate the success that the Warriors have had as well as be in a similar city, another PSL offering from a major NBA team will be unlikely. The success of the team and the culture of the City also made San Francisco the right place for the Warriors’ to build a much-needed new arena. The Warriors decided to move from their current home arena in Oakland, California across the bay to San Francisco to build and privately finance a new state of the art arena. The new arena is estimated to cost $1 billion to build, however the Warriors entered into a naming rights agreement with JP Morgan Chase which will help with some of the financing. According to reports regarding the naming rights agreement, the new arena will be called the Chase Center, will have a term of approximately twenty years, and will have an estimated value of $15–$20 million annually. The Chase Center will also be located near the BART system, making the arena easily accessible for fans. The Chase Center, which is expected to be open and fully functioning by the start of the 2019 basketball season, will also have a seating capacity of 18,000 and will have an entertainment district surrounding the arena. As for the district surrounding the Chase Center, the only reported details are that there will be 580,000 square feet of office/lab space, 100,000 square feet of retail space, a 35,000 square foot public plaza, 950 parking spaces, and access to multiple modes of public transportation. The Chase Center and the surrounding district have also been designed to achieve LEED Gold certification. However, the details of how JP Morgan Chase will play a role in the entertainment district has not been released yet. The Chase Center is a $1 billion project and the usual way to finance these amazing new sports facility venues is through a Public Private Partnership (PPP), which means the franchise pays a portion of the construction costs and the taxpayers pay the remaining costs. The Warriors decided not to go the route of a PPP and are privately financing the entire venture. To accomplish the task of building a wholly privately financed professional sports arena, not only have the Warriors entered into a lucrative naming rights deal, but the Warriors’ have also decided to spread its cost across those who will use the arena the most, the season-ticket holders. The Warriors have approximately 14,500 season ticket holders at the Oracle Arena in Oakland, California, which can hold approximately 19,596 attendees. The annual renewal rate according to the team is 90%, and the team has a waiting list for season tickets that approximate 39,000 names. To spread this cost across the season-ticket holders, the Warriors are offering PSLs. The pricing for the PSL offering has not been set yet, but according to one source, could generate as much as $300 million. Warriors’ President Rick Welts has indicated that they expected that half of the 11,000 to 12,000 season-ticket membership would be priced under $15,000, with the other half possible selling at a much higher cost. Other than the naming rights deal and the PSL offering, nothing has been confirmed about how the franchise expects to cover the remainder of the $1 billion price tag. What is the Chase Center Membership Program? The Chase Center Membership program will allow fans to purchase Golden State Warriors season tickets for a specific set location in Chase Center, plus receive additional benefits. Chase Center Memberships will consist of a one-time membership fee per seat that will enable members to purchase season tickets for a select seat location at Chase Center for each year of the membership term. Unlike any current structure in professional sports, Chase Center Members will be fully refunded the amount of their membership fee after the 30-year membership term. Members will receive the right to buy a specific season ticket location for each year of the membership term. Memberships will be available on a per seat basis. Members will be repaid the amount of their membership investment in its entirety at the end of the membership term. Members will have the right to transfer their membership to family members and other third parties. Members will have the opportunity to sell their membership to a third party, for an amount not to exceed their initial investment. Members will have the opportunity to purchase tickets for publically ticketed events hosted at Chase Center prior to the general public. Additional member benefits will be introduced prior to the opening of Chase Center. What is the purpose of the Chase Center Membership Program? Membership proceeds will be used to fund the construction of the privately financed Chase Center, and this is a key mechanism that will pave the way to completion of this state-of-the-art venue without requiring any public money. The Chase Center Membership program highlights the Warriors innovative approach. Repayment of 100% of the membership fees at the conclusion of the membership term provides fans with safety and certainty regarding their investment in the team’s future. How is this program different than other arena or stadium financing structures? This unique repayment guarantee has never been implemented previously in professional sports history. Other organizations who have built arenas and/or stadiums – whether privately financed or publicly financed – have had similar programs to help fund construction costs, but none of them have agreed to refund season ticket holders the amount of their investment. When will Chase Center Memberships be available for purchase? The Warriors will being selling Chase Center Membership later this year (2017). Will season ticket holders be given priority for Chase Center Memberships? Yes, all Warrior Season Ticket Holders will have an opportunity to secure a Chase Center Membership prior to the general public, with tenure and seat location playing a role in the seat selection process. After current season ticket holders are given the opportunity for a Chase Center Membership, are members of the Warriors Season Ticket Priority Wait List next in line for the opportunity to purchase a membership? Subject to availability, members of the Warriors Season Ticket Priority Wait List will have priority over the general public in the selection of Warriors season ticket locations at Chase Center. What is the cost of a Chase Center Membership? Mmbership fees and Chase Center season ticket prices have not yet been finalized. The one-time membership fee will vary based on seat location, among other factors. Do memberships have to be paid in one lump sum? No, members will have the option to pay for their membership over several years. Are members allowed to transfer their membership to another person? Yes, members are allowed to re-sell or transfer their membership to another third party. Alternatively, members can relinquish the membership back to the Warriors organization and will still receive 100% of the membership proceeds at the conclusion of the membership term. Is there a membership fee associated with each seat or can you purchase multiple seats as part of one membership? There is a Chase Center Membership fee associated with every season ticket seat purchased. Will every seat at Chase Center be sold as a season ticket? The Warriors will continue to make tickets accessible to as many fans as possible. As such, the Warriors plan to reserve about a third of the seats at Chase Center for partial ticket plans, single-game tickets and group tickets. Traditionally once a fan buys a PSL they own that seat and can sell it on the secondary market for as much as they deem it is worth. According to this FAQ, the Warriors are not allowing Members/PSL holders to sell their seat for anything more than what they initially paid for it. The Warriors stated that the purpose for offering these PSLs was to fund construction of the new Chase Center so the team could privately finance the entire project. The team also stated that the purpose for giving fans a 100% refund of the one-time membership fee, is to give fans certainty and safety regarding their investment into the franchise. This will hopefully give fans an ease of mind that they would not have with a traditional PSL offering. With a traditional PSL offering, fans run the risk of the value of their seat dramatically declining over the years and not being able to fully recoup the cost of the initial investment. This 100% refund guarantee by the franchise guarantees that fans will recoup the initial cost of their PSL. On top of giving a full refund at the end of the thirty-year term, the team is also promising to refund fans the difference in price if they choose to sell their PSL on the secondary market and are not able to recoup the initial investment. This repayment program should allow the Warriors to avoid much of the criticism of the traditional PSL system. The repayment program essentially makes Warriors PSLs offering like a thirty-year interest free loan. The Warriors plan to sell about two thirds of all seats in the new Chase Center through this membership program as PSLs. The team will reserve the other third of seats in the arena for single-game tickets. This will allow the franchise to maximize the revenue from this offering, but also still allow fans who cannot afford a PSL and season tickets a chance to see the Warriors play in person. The pricing plan for the Warriors offering has not been released yet, but it will follow traditional PSL offerings with varying prices depending on the location of the seat. The Golden State Warriors’ ticket plan represents the latest evolution of businesses. 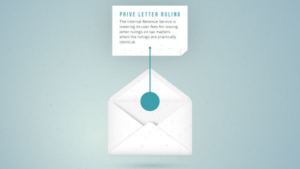 This letter responds to your request for a private letter ruling and supplemental information that the Proceeds that Corp receives from its members under certain terms and conditions will not be includable in Corp’s gross income under section 61 of the Internal Revenue Code (Code). The League recently approved the relocation of Team to City A. As part of this approval and relocation, Team will be a tenant in a new stadium to be built in City A. Corp and its Proceeds program described below are a significant component of the proposed financing for the construction of this new stadium. It is currently expected that the new stadium will have approximately 65-75,000 seats available for each Team game. Corp is a State B taxable nonprofit, nonstock corporation that was incorporated on Date 1 to be a membership organization for fans of the Team. Its annual accounting period ends December 31 and its overall method of accounting for maintaining the accounting books and filing its federal income tax return is the cash method. The initial member of Corp will be LLC, a State B limited liability company, which is owned by Individual. LLC will be the sole voting member of Corp and will appoint a three-member Board of Directors to manage Corp. Corp provides no dividend rights for its members, and no members other than LLC will have voting rights. LLC1, a State B limited liability company, owns the Team. Its annual accounting period ends December 31 and its overall method of accounting for maintaining the accounting books and filing its federal income tax return is the accrual method. LLC1 is owned: (1) m% by LLC2 and (2) n% by LLC3, which is wholly-owned by Owner, an individual. LLC2 is owned: (1) p% by Corp1, which is wholly-owned by Owner and (2) r% by Owner. The new stadium will be constructed and owned by LLC4, a State B limited liability company. Its annual accounting period ends December 31 and its overall method of accounting for maintaining the accounting books and filing its federal income tax return is the cash method. LLC4 will be owned directly by Owner. On Date 2, the League approved the relocation of the Team to City A. As part of this approval and relocation, the Team will be a tenant in a new stadium to be built in City A and owned by LLC4. The League also conditionally approved an option for either Team 1 or Team 2 to relocate to City A and become a tenant in the same stadium subject to certain terms and conditions. The new stadium to be built in City A is projected to cost approximately $W and will be privately financed, privately owned, and privately maintained. It is anticipated that a portion of the cost of the stadium construction will be funded by Proceeds received by Corp and loaned to LLC4, as described below. The stadium is contemplated to be the anchor of a private multi-billion dollar residential and commercial real estate and entertainment complex located a few miles from downtown City A. Accordingly, there will be a significant economic incentive to maintain the stadium. Taking into consideration the cost of the stadium, its ownership, its central location in City A, and the economic incentive to maintain the stadium, it is anticipated and expected that the life of the stadium will exceed X years. Regarding the relocation of the Team to City A and the proposed construction of a new stadium, Corp and its membership program will be a strategic and significant part of the building and strengthening of a Team fan base in the team’s new home city, as well as the financing for the construction of the new stadium. Accordingly, Corp will enter into a contract (Contract) with LLC1 pursuant to which Corp will receive and have certain benefits for Corp’s members, including the right of members to enter into a limited number of personal seat license (PSL) agreements with Corp. The Corp PSL agreements will be assigned by Corp to LLC1, and LLC1 will assume all obligations under the PSL agreements. This Contract is being entered into by LLC1 as an inducement to LLC4 to build the stadium. The Contract will provide that the Proceeds transferred by members with each PSL agreement will be segregated from other assets through the use of a trust established for the benefit of Corp (Corp Trust). In turn, Corp Trust, will loan the total amount of the Proceeds to LLC4 to be unequivocally dedicated and used exclusively for stadium construction. The Corp Trust will be treated for tax purposes as a grantor trust of Corp.
C>orp will circulate to its members emails, newsletters, and monthly calendars of these events, activities, and opportunities. Corp Interests will be in several classes. Every member will receive a Corp Interest with the rights and benefits described above included as a result of paying the one-time nonrefundable initiation fee (Basis Corp Interest). Certain Corp Interests will include the right to enter into a PSL agreement. Members who transfer Proceeds will be given the right to enter into an initial PSL agreement for a limited number of PSLs, with the specific PSL being offered to a member depending upon the class of Corp Interest held by the member. The different classes of Corp Interests may, for example, be entitled “Bronze Interests,” “Silver Interests,” “Gold Interests,” and “Platinum Interests,” ranking in this order based on the amount of the Proceeds transferred by the member. The seat location of the Team tickets available for priority purchase by a member under the terms of their PSL will depend upon the class of the Corp Interest held by the member. Members who enter into a PSL agreement will have the priority right to purchase season tickets to Team games at the stadium at the face amount ticket price, any playoff tickets to Team games at the stadium at the face amount ticket price, and limited tickets for certain other events at the stadium (e.g., concerts) at the face amount ticket price (Ticket Option). Each Corp Interest, other than a Basis Corp Interest, will permit that member priority access to acquire one (1) ticket (e.g., one set of season tickets to Team games at the stadium at the face amount ticket price). If a fan desires priority access to more than one (1) ticket, the member will need to have a concomitant number of additional Corp Interests and related PSLs. All tickets will be purchased by members for the same prices charged for similar seats to those who are not members (except that those who are not members will not have priority access to purchase tickets). Members, under the terms of their Member Benefits, including the PSL, will have priority rights to purchase tickets for each Team game. Tickets for each Team game will remain available for purchase by public, non-members of Corp at the same face amount ticket price that a member purchased the ticket. Each member who desires to become a member and enter into a PSL agreement will be required to pay: (1) the nonrefundable initiation fee and (2) fully refundable Proceeds1 as described below. It is currently anticipated that members will be able to elect to transfer their Proceeds once or over a period of time. If a member elects the multiple-installment option, the amount of the total Proceeds transferred by the member will increase (as will the amount repaid to the member at the end of the term). For example, a member might elect to make a single transfer of $5x on Date 3 or a fixed annual transfer of $1.2x starting on Date 3, and each year thereafter for four years. The member who paid $5x in a single installment will receive $5x at the end of the term; the member who paid five annual payments of $1.2x will receive $6x at the end of the term. The underlying documentation will provide for repayment of the Proceeds to the member after an X year period (Term) without interest. As a matter of simplicity, a fixed date will be set as the Term repayment date. For example, if the Corp begins accepting members (and their Proceeds) on Date 3, all Proceeds not previously repaid will be repaid on Date 3 plus X years. Thus, if an individual or entity becomes a member at a later date, the member will be repaid at the same time as the initial members. Corp may, at its option, repay all of the Proceeds to the members prior to the end of the Term. A Corp Interest will be inheritable and transferable, subject to all of the applicable nontax legal requirements, but the Corp Interest will not be divisible in any manner. All of the Member Benefits will be inherent in the Corp Interest and not in any manner separable or transferable apart from the Corp Interest. A member will not be able to separately sell, transfer, or assign any Member Benefit, including the inseparable PSL and related Ticket Option or the right to receive repayment of the Proceeds after the Term. Corp Interests, including associated PSL rights (if applicable), will be transferrable only with the written approval of Corp in its sole discretion, except that no approval of Corp will be required in the following limited circumstances: (1) a transfer required because of an occurrence of a circumstance beyond the control of the member (e.g., death or disability or similar event as determined by Corp); (2) in the case of members that are natural persons, a transfer to an immediate family member; and (3) in the case of members that are entities (other than entities, the primary asset of which is the PSL), a transfer to: (A) an entity resulting from a merger or consolidation with the member, (B) an entity succeeding to all or substantially all of the business or assets of the member, or (C) an entity controlled by, controlling, or under common control with the member. Transfers under the limited circumstances described in clauses (1) through (3) above are referred to herein as “Related Party Transfers;” all other transfers are referred to herein as “Third-Party Transfers.” Transfers are referred to collectively as “Transfers.” Under no circumstance will Corp be obligated to redeem a member’s Corp Interest. No Transfer of any Corp Interest (including any Related Party Transfer) will be effective until the member and the prospective transferee have submitted an application to Corp, have paid all applicable administrative fees (for the transfer of the Corp Interest) and facilitation fees (for the transfer of the Ticket Option in the case of any Corp Interest with PSL rights), and, in the case of Third-Party Transfers, have received the written approval of Corp. Corp has the right in its sole discretion to withhold consent to Third-Party Transfers (as determined in its discretion on a case-by-case basis), though it expects to permit privately-arranged Third-Party Transfers by members that are otherwise made in accordance with Corp’s policies and applicable laws. The policies will provide, among other terms, that Corp may decline to permit a Transfer if the Transfer would result in an unacceptable concentration of PSLs held by one member or related members, as determined by Corp in its sole discretion. The election of a member with PSL rights not to purchase Team regular season tickets and any Team playoff tickets by dates designated from time-to-time will not result in the termination of membership in Corp or the forfeiture of all Member Benefits, but will result in the forfeiture of the member’s PSL and related Ticket Option. The member otherwise will retain all Member Benefits and other membership privileges in Corp, including the right to repayment of the Proceeds on the repayment date. However, after the termination of the member’s PSL and related Ticket Option, the member will only be entitled to make Related Party Transfers of its Corp Interest; no Third Party Transfers will be permitted for a member who is entitled to receive a repayment of its Proceeds but no longer has a PSL or Ticket Option. The Membership Agreement will provide that a member, at any time, is entitled to voluntarily terminate a Corp Interest. If the Corp Interest is the only (or the last) Corp Interest of a member, then upon the termination, the member’s membership status in Corp will also be terminated. Upon a voluntary termination of a member’s membership in Corp with an associated PSL, the terminating member will continue to be entitled to receive a repayment of its Proceeds at the end of the Term. After the termination of the Corp Interest, the terminating member will only be entitled to make Related Party Transfers of its right to repayment of its Proceeds at the end of the Term. In addition, a member’s violation of certain rules specified in the Membership Agreement, including rules prohibiting certain egregious behavior, will result in the involuntary termination of a member’s membership in Corp. The involuntarily terminated member will lose the Member Benefits and other membership privileges in Corp, and will lose its PSL and Ticket Option, but will generally not lose the right to repayment of its Proceeds on the repayment date. Because the former member’s Corp Interest, PSL, and Ticket Option have been terminated, the former member will only be entitled to make Related Party Transfers, and will not be able to engage in a Third Party Transfer, of the right to receive its Proceeds at the end of the Term. The cost of the development, construction, and maintenance of the stadium will be privately financed by the Owner through a combination of debt and equity. A portion of the financing will include the loan from Corp as described below. The Proceeds are expected to be received by Corp Trust through a lockbox account, the contents of which are to be segregated and unequivocally dedicated to the construction costs of the stadium. The terms of the lockbox account maintained by Corp Trust will be explicit in dedicating the Proceeds for the construction of the stadium. Corp Trust will lend the total amount of the Proceeds to LLC4. The loan will be made at an interest rate that is anticipated to be sufficient to permit the operation of Corp, including payment of salaries for its employees and other costs of operation. Loan proceeds will be segregated into an account that is explicitly segregated and unequivocally dedicated to construction of the stadium. Corp Trust’s loan to LLC4 is expected to remain outstanding for the Term although LLC4 may prepay the loan in full at any time (and if the loan were prepaid, Corp would repay the Proceeds to the members). An amount will be contributed by the Owner to a Defeasance Fund (described below), and that amount will be sufficient, in all reasonably-foreseeable scenarios, to equal or exceed on an after-tax basis the amount required to provide for full repayment of the Corp Trust loan and the repayment by Corp of all of the Proceeds to the members at the end of the Term. 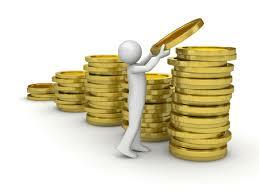 The Defeasance Fund will contract with a national investment banking or fund management firm or firms. The Defeasance Fund will issue to LLC4 and Corp quarterly unaudited financial statements and an annual audited financial statement, with a written report of the Defeasance Fund activities and performance. All amounts in the Defeasance Fund used to repay the loan will be transmitted to the Corp Trust and used to repay the Proceeds. Neither Owner nor any immediate family member of Owner: (1) has, or will have, any ownership or voting interest in either Corp or LLC or (2) will be a director of Corp, provided that Owner and family members of Owner may become members of Corp (with the same rights and privileges as other members) and will pay the initiation fee and receive repayment of the Proceeds like other members of Corp. Given the cost of the stadium, its central location in City A, and its private ownership, there will be a significant economic incentive to maintain the stadium, and as a result, it is anticipated and expected that the life of the stadium will greatly exceed X years. None of the Member Benefits for the Corp Interest will be separable or transferable. As a result, a member will not be able to separately sell, transfer, or assign any Member Benefit, including the PSL and related Ticket Option or the right to receive repayment of the Proceeds. Tickets at the stadium for each Team game will remain available for purchase by public, non-members of Corp at the same face amount ticket price that a member purchased the ticket. If Corp rents space from the Team or any entity affiliated with the Team, Corp will pay a fair market rent for the rental arrangement. The Corp Trust will be treated for tax purposes as a grantor trust of Corp.
All members electing a membership class providing a PSL will be required to execute a PSL agreement with Corp, along with their transfer of the Proceeds. The PSL agreement will be a legally enforceable and binding document that will provide that the member’s Proceeds are being received by Corp subject to a legally enforceable and binding obligation of Corp to repay the Proceeds to the member, and the agreement will clearly and explicitly inform the member that the Proceeds are not deductible by a member for federal income tax purposes. The Proceeds are to be placed in a lockbox account maintained by Corp Trust immediately upon receipt. Corp Trust will loan the Proceeds to LLC4 pursuant to legally enforceable and binding documentation. LLC4 and/or the Owner will set aside cash into a legally separate Defeasance Fund, held and managed by an independent and reputable major U.S. financial institution pursuant to legally enforcement and binding documentation. The Defeasance Fund will ensure repayment of the Proceeds to the members at the appropriate time. The Defeasance Fund will not be legally accessible by any party for any purpose except for the repayment of the Proceeds to members. The amount contributed by LLC4 and/or the Owner to the Defeasance Fund will be that amount which is sufficient, in all reasonably-foreseeable scenarios, to equal or exceed on an after-tax basis the amount required to provide for full repayment of the Corp Trust loan and the return by Corp of all of the Proceeds to the members at the end of the Term. The principal payments made on the loan upon its maturity, or otherwise, will be unconditionally used to repay the Proceeds. Corp will use every commercially reasonable means available, including legally enforceable and binding agreements, to ensure that the Proceeds will be used solely for the construction of the stadium and not in any way misused or misdirected from this sole purpose. This will include segregated lockbox accounts at an independent and reputable major U.S. financial institution, which accounts will be subject to legally enforceable and binding documentation providing for the unequivocal use of the funds for the construction costs of the stadium. On Date 4, Team 1 announced their intention to relocate to the stadium. As of Date 5, Corp does not know whether Team 1 will: (1) form a membership entity that will obtain Proceeds in connection with the issuance of PSLs or (2) receive nonrefundable payments in connection with the sale of PSLs to their fans. Section 61 of the Code and the underlying regulations provide that gross income means all income from whatever source derived unless excluded by law. In James v. United States, 366 U.S. 213 (1961), the Supreme Court explained that, in order for gain (e.g., money) to be includible in gross income, there must be a claim of right to the alleged gain and the absence of a definite, unconditional obligation to repay or return that which would otherwise constitute a gain. See also Commissioner v. Tufts, 461 U.S. 300 (1983) (indicating that when a taxpayer receives the proceeds of a loan, the taxpayer incurs an obligation to repay the loan at some future date and, therefore, the loan proceeds are not gross income to the taxpayer). The facts submitted and the representations made that are the subject of this ruling request are governed by, and within the parameters of, the Supreme Court’s decisions in Glenshaw Glass and James. A taxpayer does not have an accession to wealth, nor complete dominion over an item, if received subject to a legally enforceable and binding obligation to repay the item. If a taxpayer receives money or other property with a legally enforceable and binding obligation to return or repay it, the taxpayer is not enriched by the transaction and, therefore, does not realize gross income within the meaning of section 61 of the Code. In the present case, Taxpayer represents that the Proceeds received by Corp from members are subject to a legally enforceable and binding obligation of Corp to repay members and will be treated for all purposes, including for accounting purposes, as a liability of Corp. In addition, the implementation of the Defeasance Fund mechanism will ensure that this liability of Corp to repay the Proceeds to members will be satisfied. Because of this, Corp does not have the requisite complete control over the Proceeds required for the Proceeds to be gross income to Corp within the meaning of section 61 of the Code. The Proceeds that Corp receives from members are not gross income to Corp for federal income tax purposes because the Proceeds are received by Corp subject to Corp’s legally enforceable and binding obligation to repay the Proceeds to members. The rulings contained in this letter are based upon information and representations submitted by the taxpayer and accompanied by a penalty of perjury statement executed by an appropriate party. Specifically, this ruling is based on the representation that the Membership Agreement between Corp and its members will clearly and explicitly inform members that their Proceeds are being received by Corp subject to a legally enforceable and binding obligation of Corp to repay the Proceeds to the member. While this office has not verified any of the material submitted in support of the request for rulings, it is subject to verification on examination. Except as expressly provided herein, no opinion is expressed or implied concerning the tax consequences of any aspect of any transaction or item discussed or referenced in this letter. Specifically, this ruling is limited to only Proceeds received by Corp from its members. The IRS ruling is undeniably favorable to the Rams and other future professional and amateur sports teams utilizing PSLs under a similar corporate structure considering the current tax charged to corporations on their gross income reaches a maximum of thirty-five percent (35%). However, the ruling was silent on whether the PSL proceeds are a loan for tax purposes and therefore subject to original issue discount (i.e., deemed interest rules). It is anticipated that CORP members will be able to elect to transfer their PSL proceeds all at once or over a period of time. If a CORP member elects the multiple-installment option, the amount of the total proceeds transferred will increase. That said, the underlying PSL agreements plan to provide for fixed repayment term (excluding interest) of all contributing CORP members. The Rams represented in the private letter ruling that the PSL proceeds were subject to “a legally enforceable and binding obligation” of the CORP to repay the proceeds. The IRS did not opine on whether this arrangement constituted a loan, but it would appear to qualify as “evidence of indebtedness” and thus, a debt instrument for tax purposes. 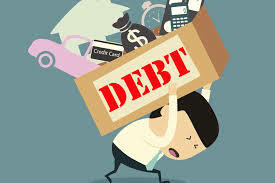 Interest is deemed received by the holder of a debt instrument that does not have adequate stated interest, does not have a fixed maturity date of less than a year, and does not meet other exceptions, such as being a tax-exempt obligation or being an obligation between natural persons. Thus the holders of the PSLs may have additional income imputed to them under these agreements, which would be taxed as interest income as it is deemed accrued. If applicable, this would place them in the unenviable position of being taxed on interest without cash in hand. 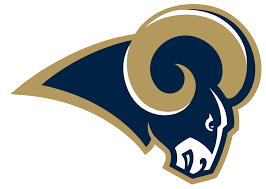 The Rams also contacted the Securities and Exchange Commission seeking a ruling holding that the monies received by the Rams were not “securities” as defined by the Securities Exchange Act, (the “Securities Act”), and did not require registration. The Rams lawyer explained that the PSL Memberships are more the equivalent of “’stock;’ ‘notes,’ ‘bonds,’ ‘debentures,’ or other ‘evidence of indebtedness;’ ‘investment contracts;’ or another form of securities under the analyses described in Forman, 421 U.S. 837 (1975), Landreth, 471 U.S. 681 (1985), Reves, 494 U.S. 56 (1990), and Howey, 328 U.S. 293 (1946).” The Rams lawyer also referenced a private letter ruling issued to the San Francisco Giants (Giants) where the PSL Memberships were similar to the personal seat licenses at issue in the Giants letter ruling. In Tcherepnin v. Knight, the Court stated that the right to receive “dividends contingent upon an apportionment of profits” is the most common feature of stock; and Landreth identified other characteristics traditionally associated with stock: “(1) negotiability; (2) the ability to be pledged or hypothecated; (3) voting rights in proportion to the number of shares owned; and (4) the ability to appreciate in value.” The Rams PSL Membership does not pass the tests articulated in Tcherepnin and Landreth. The Rams PSL Members do not receive dividends, the PSLs are not negotiable, cannot be pledged or hypothecated, the membership does not entitle any member any voting rights or any equity or ownership interest in FanClub, the Rams, or any facilities, and the members do not participate in the management or operation of FanClub. It is theoretically possible that the value of the membership may increase in value over time, but the potential for the appreciation is a common attribute of many forms of property that are outside the scope of the Securities Acts. Therefore, the PSL Memberships are not “stock” under the Securities Acts. Also, in Forman the Court held that “when a purchaser is motivated by a desire to use or consume the item purchased . . . the securities laws do not apply.” Since the membership allows members to receive certain consumable benefits that a purchaser is motivated by a desire to consumer those benefits, therefore the membership should not be characterized as a security. As for a note, bond, debenture or other evidence of indebtedness, the PSL Membership does not constitute any such term within the Securities Acts. In Reves the term note as used in the Securities Acts “should not be interpreted to mean literally ‘any note,’ but must be understood against the backdrop of what Congress was attempting to accomplish in enacting the Securities Acts.” The Court then adopted the “family resemblance test.” Under this test, a note with a term of more than nine months is presumed to be security; however, this is a rebuttable presumption. The issuer can rebut this presumption by demonstrating, and by applying four factors, (1) that the note bears strong family resemblance to one of the categories of notes traditionally excluded from the definition of a security, or (2) that, by examination of the same factors, another category should be added to the list. The four factors listed by the Court in Reves are the motivations of the seller and the buyer, the plan of distribution, the reasonable expectations of the investing public, and the need for protection. After applying the four factors to the facts of the membership, it is clear that the PSL Membership should not be considered securities under the Reves analysis. While the refundable deposit feature of the PSL Membership will return to a member the initial cash paid for the membership, the refundable deposit bears a strong resemblance to a security deposit or other deposit and does not bear a strong resemblance to a traditional note, bond, debenture or other instrument evidencing indebtedness. Finally, the Rams’ lawyer articulated why the PSL Membership should not be considered an investment contract or an instrument commonly known as a security and applied the test laid out in Howey. Howey set forth the economic realities test. When evaluating the economic realities of a transaction, “[t]he test is whether the scheme involves an investment of money in a common enterprise with profits to come solely from the efforts of others.” When applying this test to the Rams PSL Membership, the membership is not an investment contract or another instrument commonly known as a security because the purchase of a membership does not represent an investment in a common enterprise where a person is led to expect profits arising from the efforts of others. The purchaser of a PSL Membership is informed that they are not to regard their payment as an investment nor expect to derive profits from the membership and they will not be marketed as investments for profit, nor will they be described as anything other than a means of obtaining certain member benefits. Also, the PSL does not get the member any leasehold, title, interest or other rights of any kind in any specific real or personal property. The PSL represents a personal privilege only with respect to the seat for Rams home games. After receiving the Rams’ explanation of why the team’s PSL Membership should not be considered securities under the Securities Acts and the IRS private letter ruling holding that the revenue generated from sales of the PSL Memberships will not be regarded as revenue, the Rams will therefore be able to earn tax free revenue to help finance the cost of the team’s new stadium. 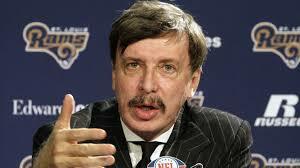 It is speculated that the Warriors PSL sales will be designed and operated in a very similar way to that of the Rams. If so, the Warriors will be able to get a private letter ruling from the IRS as well that holds its PSL revenue as not income. This will allow the Warriors to also earn tax free revenue to help finance the construction of the Chase Center. Who knows what may happen in the future with PSL offerings by professional sports teams. There could be a trend towards building wholly privately financed professional sports venues instead of using taxpayer funding given what the Warriors are working to accomplish. Or the wholly private financing for the Warriors new arena could be a one-time thing that might only work because of the unique market position of the franchise, the franchise’s continued success, and the location of the new arena. Only time will tell if an entirely privately financed professional sports arena will become the new normal. However, with the ability of professional sports teams to have their PSL revenue categorized as not income, much like the Rams and potentially the Warriors, wholly privately financed areas may be the future with the help of tax free revenue earned through PSL sales. When the Golden State Warriors finally release their PSL Agreement, there will be a subsequent article analyzing the terms and conditions of that agreement, so stay tuned. M’Kenzee Galloway is a second-year law student at Marquette University Law School where she is focusing on Sports Law. In addition to being a 2019 Juris Doctorate candidate, M’Kenzee is also a 2019 Sports Law Certificate candidate at Marquette through the National Sports Law Institute. M’Kenzee is a staff member of the Marquette Sports Law Review and a member of the Sports Law Society at Marquette. Prior to Marquette, M’Kenzee earned her bachelor of science in business administration in both Marketing and Finance from Northern Arizona University (Flagstaff, AZ). While at Marquette M’Kenzee has been a judicial intern for the Milwaukee County Circuit Court – Civil Division, been a research assistant for the National Sports Law Institute, and a legal intern for Martin J. Greenberg. M’Kenzee will go on to extern for the National Collegiate Athletic Association Enforcement Division for the spring of 2018. See Aaron Gordon, The Creator of Personal Seat Licenses Hates Them as Much as You Do, VICE Sports (Dec. 28, 2015), https://sports.vice.com/en_us/article/4xzg4p/the-creator-of-personal-seat-licenses-hates-them-as-much-as-you-do. See Barbara Friedman, Max Muhleman: Sporting Success, NewStories (Nov. 27, 2012), http://newstories.mj.unc.edu/max-muhleman/. See Erik Spanberg, Muhleman Exits IMG to Start New Firm, Charlotte Business Journal (Jan. 20, 2006), https://www.bizjournals.com/charlotte/stories/2006/01/16/daily38.html. Staff – Jerry Richardson Owner/Founder, Carolina Panthers, http://www.panthers.com/team/staff/jerry-richardson/4bcc4b2e-0a78-468a-a00c-bdc925d797a9 (last visited Nov. 27, 2017). Tim Nelson, NFL Stadium Personal Seat Licenses Compared, MPRnews (Nov. 15, 2012), https://www.mprnews.org/story/2012/11/15/sports/nfl-personal-seat-licenses-compared. See Rochelle Olsen, Vikings: 90 Percent of Stadium-Builder Licenses Sold, StarTribune (Feb. 3, 2016), http://www.startribune.com/minnesota-vikings-90-percent-of-stadium-builder-licenses-sold-heading-into-super-bowl/367440761/. Tim Tucker, About 6,000 PSLs Remain for Sale as Falcons Season Nears, The Atlanta Journal-Constitution (Jul. 21, 2017), http://www.ajc.com/sports/football/about-000-psls-remain-for-sale-falcons-season-nears/QdMp27ywUsTuswL0MUqhLK/. Erik Dolan-Del Vecchio, Atlanta Falcons Complete Financing on $1.5B Stadium, Bisnow (Aug. 31, 2016), https://www.bisnow.com/national/news/construction-development/atlanta-falcons-complete-financing-on-15b-stadium-64680. Nathan Fenno & Sam Farmer, Rams Could Have the Most Expensive Seat in America, LA Times, Aug. 31, 2017, http://www.latimes.com/sports/sportsnow/la-sp-rams-psl-20170831-story.html. Letter from Gibson, Dunn & Crutcher LLP to Office of Chief Counsel Division of Corporation Finance Securities and Exchange Commission (May 19, 2017) (on file with author). 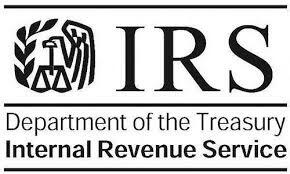 Letter from the Internal Revenue Service to Gibson, Dunn & Crutcher LLP (Jun. 2, 2017), https://www.irs.gov/pub/irs-wd/201722004.pdf. Dan Alexander, NFL PSLs Have Become Very Risky Investments, Forbes, Sep. 5, 2012, https://www.forbes.com/sites/danalexander/2012/09/05/nfl-psls-have-become-very-risky-investments/#7793bd023672. See generally Henry Shulman, 49ers’ On-Field Losses Turing into Big Financial Losses for Fans, San Francisco Chronicle, Nov. 28, 2016, http://www.sfchronicle.com/49ers/article/49ers-on-field-losses-turning-into-big-10637751.php. Sports Xchange, Golden State Warriors to use Personal Seat Licenses at New Arena, UPI (Jul. 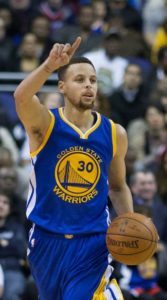 20, 2017), https://www.upi.com/Sports_News/2017/07/20/Golden-State-Warriors-to-use-personal-seat-licenses-at-new-arena/8981500605774/. See NBA Teams: Golden State Warriors Records Year by Year, Land of Basketball, http://www.landofbasketball.com/teams/records_golden_state_warriors.htm (last visited Nov. 28, 2017). See generally Matt Moore, Popovich, Kerr and Stevens: Behind the Three Best Coaching Minds in the NBA Today, CBSSports (Dec. 13, 2017), https://www.cbssports.com/nba/news/popovich-kerr-and-stevens-behind-the-three-best-coaching-minds-in-the-nba-today/. Coaching Record, Basketball Reference, https://www.basketball-reference.com/coaches/kerrst01c.html (last visited Dec. 27, 2017). Golden State Warriors on the Forbes NBA Team Valuations List, Forbes, Feb. 2017, https://www.forbes.com/teams/golden-state-warriors/. NBA Teams Payrolls, 2017-18 Season, Hispanos NBA, http://en.hispanosnba.com/salaries/index (last visited Dec. 27, 2017). Golden State Warriors 2017 Salary Cap, Spotrac, http://www.spotrac.com/nba/golden-state-warriors/cap/ (last visited Dec. 27, 2017). Warriors Conclude 2016-2017 Regular Season with 230 Consecutive Sellouts, NBA (Apr. 12, 2017), http://www.nba.com/warriors/news/warriors-230-straight-sellouts-20170412. Warriors Season Ticket Priority Wait List Eclipses 40,000 Members, NBA (May 11, 2017), http://www.nba.com/warriors/news/pwl-40000-20170511. Warriors Conclude 2016-2017 Regular Season with 230 Consecutive Sellouts, supra note 58. 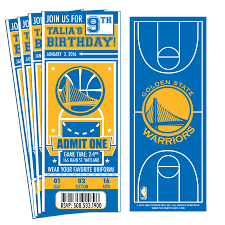 See Golden State Warriors Tickets Information, Ticket City, https://www.ticketcity.com/nba/golden-state-warriors-tickets.html,(last visited Nov. 28, 2017). 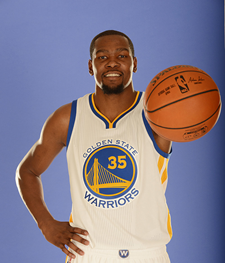 See Ben Golliver, Kevin Durant to the Warriors: NBA’s Stunning Power Shake-Up, Sports Illustrated, Jul. 4, 2016, https://www.si.com/nba/2016/07/04/kevin-durant-warriors-free-agency-stephen-curry-russell-westbrook. Jeremy C. Owners, Chevron, Apple Lead Silicon Valley Companies on the Fortune 500, Mercury News (May 6, 2013), http://www.mercurynews.com/2013/05/06/chevron-apple-lead-silicon-valley-companies-on-the-fortune-500/. Office of the Controller, Citywide Benchmarking Report, (Feb. 16, 2017), http://sfcontroller.org/sites/default/files/Documents/Auditing/Citywide_Benchmarking_Report_CONSOLIDATED.pdf. Dan Kopf, San Francisco’s Diversity Numbers are Looking More and More Like a Tech Company’s, The Atlantic (May 9, 2016), https://www.theatlantic.com/business/archive/2016/05/san-francisco-diversity-migration/481668/. Citywide Benchmarking Report, supra note 65. Kathleen Elkins, How Much it Costs to Rent a 1-Bedroom in 30 Cities Around the World, CNBC (Mar, 26, 2017), https://www.cnbc.com/2017/03/24/how-much-it-costs-to-rent-a-1-bedroom-in-30-cities-around-the-world.html. Dan Kopf, supra note 66. Terry Lefton & John Lombardo, Warriors Give PSLs Hard Look, SportsBusiness Journal, Mar. 6, 2017, http://m.sportsbusinessdaily.com/Journal/Issues/2017/03/06/Franchises/Warriors.aspx. See Kurt Badenhausen, Golden State Warriors Break Ground on New $1 Billion Chase Center, Forbes, Jan. 17, 2017, https://www.forbes.com/sites/kurtbadenhausen/2017/01/17/golden-state-warriors-break-ground-on-new-1-billion-chase-center/#2b5a00b733f6. Sam Amick, Golden State Warriors Break Ground on new Chase Center Arena in Bizarre Scene, USA Today (Jan. 17, 2017), https://www.usatoday.com/story/sports/nba/warriors/2017/01/17/golden-state-warriors-new-arena-oracle/96689206/; Staff Writers, JPMorgan Chase’s Naming-Rights Deal with Warriors Likely Most Lucrative in NBA, SportsBusiness Journal, Jan. 28, 2016, http://www.sportsbusinessdaily.com/Daily/Issues/2016/01/28/Facilities/Chase-Center.aspx. 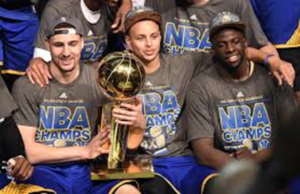 JPMorgan Chase’s Naming-Rights Deal with Warriors Likely Most Lucrative in NBA, supra note 77. Janie McCauley, Golden State Warriors Unveil Chase Center Experience, Preview of Arena, NBA (Mar. 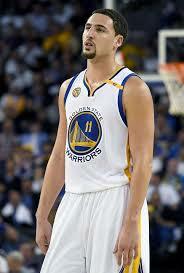 14, 2017), http://www.nba.com/article/2017/03/14/golden-state-warriors-chase-center-preview#/. Project Overview, Chase Center Construction, https://www.gswconstruction.com, (last visited Nov. 28, 2017). Jack Maloney, Warriors Making Fans Buy ‘Membership’ Before Buying Season Tickets at New Arena, CBSSports (Jul. 20, 2017), https://www.cbssports.com/nba/news/warriors-making-fans-buy-membership-before-buying-season-tickets-at-new-arena/. Al Saracevic, Warriors reveal long-term Chase Center season-ticket plan, San Francisco Chronicle (July 19, 2017), http://www.sfchronicle.com/sports/article/Warriors-new-offer-Season-tickets-for-30-years-11300137.php. Darren Rovell, Golden State Warriors to Become 1st NBA Team to Charge Personal Seat Licenses at New Arena, ESPN (Jul. 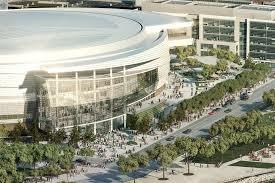 20, 2017), http://www.espn.com/nba/story/_/id/20108213/golden-state-warriors-become-1st-nba-team-charge-personal-seat-licenses-new-arena. Chase Center Membership Program FAQ, on file with the author. Chase Center Membership Program FAQ (on file with author). Barry Petchesky, New Warriors Arena will Require PSLs for Season Tickets, DeadSpin (Jul. 20, 2017), https://deadspin.com/new-warriors-arena-will-require-psls-for-season-tickets-1797086546. Chase Center Membership Program FAQ, supra note 87. 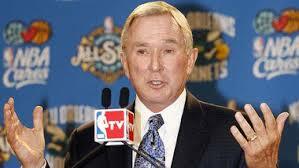 Henry Bushnell, You’ll have to Loan the Warriors Thousands of Dollars to Buy Season Tickets at their New Arena, Yahoo! Sports (Jul. 20, 2017), https://sports.yahoo.com/youll-loan-warriors-thousands-dollars-buy-season-tickets-new-arena-181539758.html. Al Saracevic, Warriors Reveal Long-Term Chase Center Season-Ticket Plan, San Francisco Chronicle, Jul. 19, 2017, http://www.sfchronicle.com/sports/article/Warriors-new-offer-Season-tickets-for-30-years-11300137.php. Letter from Internal Revenue Service, Supra Note 47. 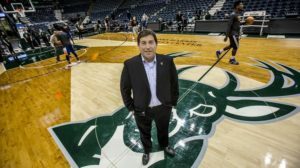 Brendan Dolan & Allison Woodbury, Recent IRS Ruling Creates (Interest)ing Tax Conundrum for Sports Teams Utilizing Personal Seat Licenses, Stinson Leonard Street (October 6, 2017), https://www.stinson.com/Resources/Articles/2017_Articles/Recent_IRS_Ruling_Creates_(Interest)ing_Tax_Conundrum_for_Sports_Teams_Utilizing_Personal_Seat_Licenses.aspx. Letter from Gibson, Dunn & Crutcher LLP, supra note 34.